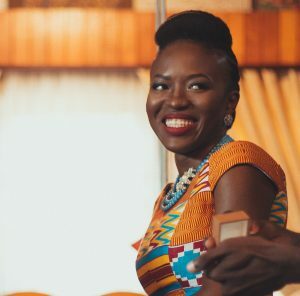 “In 2016, we were able to grow our idea and impact to reach thousands of girls and build a network of women and girls with the skills to create technology. 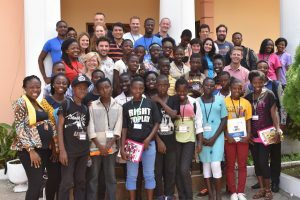 We had weekly coding classes with girls in an urban slum in Nima, girls from the Zawadi Africa education fund and a free community Library in Adabraka. Our mentees had the opportunity to watch the Screening of the CodeGirl Movie Documentary hosted by Google Ghana and were mentored by female engineers from Google Ghana. They also went through a 2-week intensive course on Human Centered Design where they designed prototypes to solve community problems. We developed an interactive coding curriculum that allows for creativity and problem solving. With the help from a team from Dartmouth University in the US we added Human Centered Design to our curriculum. We also had a visit from IDEO.org, an organization that uses design to tackle the world’s most pressing challenges. We started our mentorship program to train and recruit women studying STEM (Science, technology, engineering, and mathematics) in universities. We recruited 75 new mentors from across the regions. We also started the “Tech needs girls” road show taking our program to eight regions in Ghana. We run a social media campaign to educate all on the importance of technology and the opportunities for girls and women as creators of technology. We impacted over 3.500 girls in eight regions in Ghana. We graduated our first group of mentees and secured a full scholarship for one of our mentees from Nima to Legacy Girls College. Our mentees had the opportunity to showcase the applications they built in an open house.We partnered with Rancard Solutions, a leading Ghanaian software company who offered internships to some of our girls. We also had Alcatel-Lucent come and train our mentors on careers and entrepreneurship in the technology space. Our work received recognition and was featured on several international and local platforms such as CNN, BBC, Deutsche Welle and Aljazeera. We won several awards. 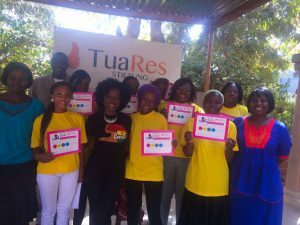 We also partnered Tuares who launched GirlTech to teach coding and technology skills to girls in Burkina Faso. Regina Honu, Soronko Solutions. Bildrechte: Regina Honu. Über den Weg, den Regina Honu, Gründerin von Soronko Solutions und von der Soronko Academy, gegangen ist, spricht sie hier.